Do Visual Novels count? I'm reading Doppelganger: Dawn Of The Inverted Souls. It's quite interesting. Completed my goal of reading two books per month last year, not including school stuff. Despite that, my "to-read" stack is growing much faster than my "have-read" stack. Time to get a bigger book case. Love these kinds of books this is what I'm reading right now. Christy & Todd, the college years. I love Christian romance novels and I love all of Robin Jones Gunn's books! I grew up reading them and still do. Decided to read The Hunger Games since I could borrow it for free from the Amazon library. Read the first 2 and now can hardly wait until I can borrow next to read Mockingjay. I honestly didn't think I would like them as much as I do. Book's definitely wayyy better than the movies. Also reading The Walking Dead comics..Finished volume 5 today and I like it just as much as the show so far. "If I read a bunch of self-improvement books does that mean I'm realky just a loser?" Currently reading Russel Simmons' Success Through Stillness: Meditation Made Simple, and I'm digging it. 20 minutes, twice a day. Lost in a sphere where thoughts disappear. Currently reading The Kabbalah Unveiled, translated by S.L. MacGregor Mathers. "At the present time a powerful wave of occult thought is spreading through society; thinking men are beginning to awake to the fact that "there are more things in heaven and earth than are dreamed of in their philosophy;" and, last but not least, it is now felt that the Bible, which has been probably more misconstrued than any other book ever written, contains numberless obscure and mysterious passages which are utterly unintelligible without some key wherewith to unlock their meaning. THAT KEY IS GIVEN IN THE QABALAH. Therefore this work should be of interest to every biblical and theological student. Let every Christian ask himself this question: "How can I think to understand the Old Testament if I be ignorant of the construction put upon it by that nation whose sacred book it formed; and if I know not the meaning of the Old Testament, how can I expect to understand the New?"" Chitu wrote: Currently reading The Kabbalah Unveiled, translated by S.L. MacGregor Mathers. @Chitu, The Zohar is interesting although The Kabbalah Unveiled contains only a small portion of it. Years ago I actually owned the whole translation and would read it often. Those old Rabbis were a serious lot and the Zohar is basically a very long rave about the revelations received during a secluded life reading the Torah. Enjoy the journey. 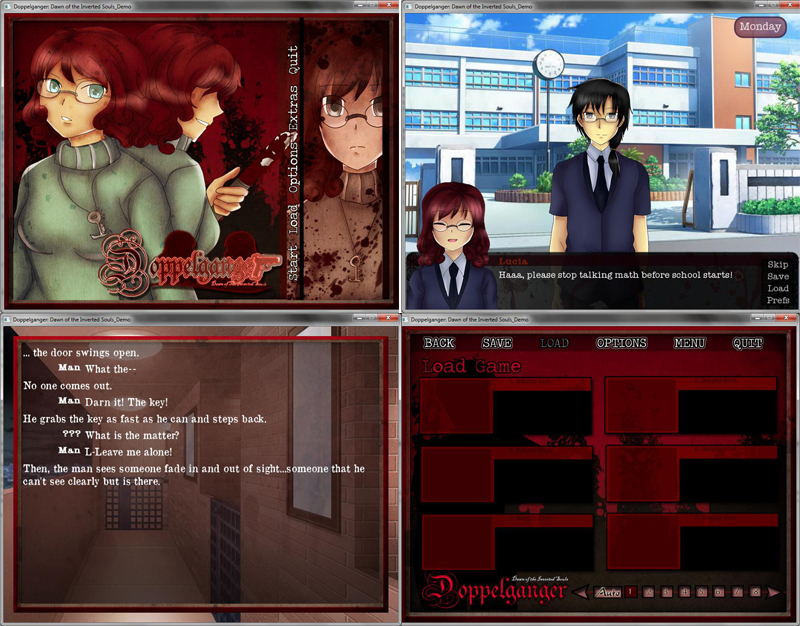 TheFallenAlchemist wrote: Do Visual Novels count? I'm reading Doppelganger: Dawn Of The Inverted Souls. It's quite interesting. Can I download this for free if I register on there? And will it work on a Mac? I'm reading Le Petit Prince. It's a really beautiful book.